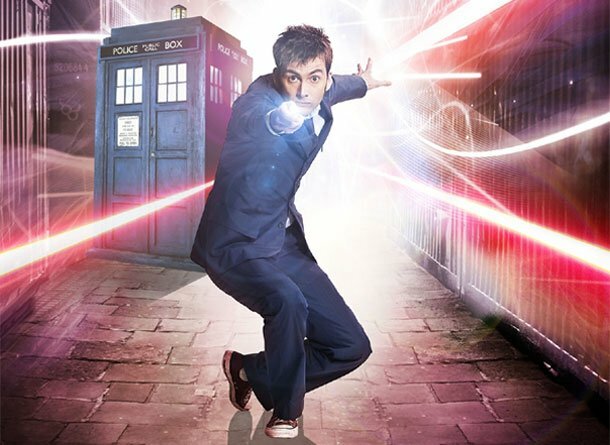 This weekend David Tennant’s run as The Doctor ended in an episode entitled “The End of Time, Part Two”. I’m not going to waste a lot of time here talking about how badly it all went wrong. The script did everything in its power to ruin his farewell. This was a Part Two to an already hamfisted storyline which never made any sense and only began to make even less sense as the second episode unspooled. It avoided all the things that made David Tennant’s Doctor not just the best ever to ride in the Tardis, but maybe the best character on television, in favor of endless plot exposition and ominous mumbo jumbo. Written out of the script were his wry sense of humor and his indomitable love of life (and all things in it). They weren’t in the script, but Tennant brought them anyway. I’m not going to waste time on those things because they don’t matter. Tennant refused to let a nonsensical storyline tear down the moment. Instead he jumped on screen and made it special anyway. A few hours from now I’ll have even less idea of what the whole thing was about than I did when I finished watching. I won’t remember Timothy Dalton and his Time Lords or the ever-irritating Master who, wouldn’t you know, only gets more irritating when there’s more of him. I will remember David Tennant watching over Martha Jones, a wistful look in his eye. I’ll remember him standing in the shadows watching a very young Rose walk away, his heart breaking all over again. I’ll remember him writhing in the snow, crawling his way one last time into the Tardis. And most of all I’ll remember that he wanted to live. I’ll remember that he loved life. I’ll remember his last words as the inescapable change overtook him and turned him into someone else: “I don’t want to go.” I’ll remember the way watching someone else in the Tardis, some other Doctor, ripped my heart out. Now the baton passes to another actor, who, may or may not do an adequate job with the character. I’ll never know. I won’t be watching. My journey with Doctor Who ended tonight with the departure of David Tennant. I’m tuning out not out of bitterness or anger or disappointment. I’m tuning out because I know it can’t get any better. This is a science fiction franchise which has drifted across television for decades, a character played by more actors than anyone short of King Lear. David Tennant transcended all of that and, unbelievably, made The Doctor all his own. His Doctor leaped off the screen with an energy unmatched by any predecessor. He made every scene feel big, even when stuck on the dingiest CGI set crammed onto the tiniest television. More than that, he stood for something. Not just words, but ideas which felt as though they actually meant something when he said them. He stood for hope and justice and ambition and all the things that make humanity worthwhile. Tennant’s performances, every one, were nothing short of brilliant. For me, from now on, there is no Doctor. The Doctor died in his Tardis tonight, utterly alone. He’d seen all the people he loved and done the things he loved, but he didn’t die happy. He didn’t go willingly. He went kicking and screaming, struggling and grasping for every last bit of life. There will never be another. I don’t want to go.